That will look good. If you get "too flush" in the front, you spray debris along the doors. 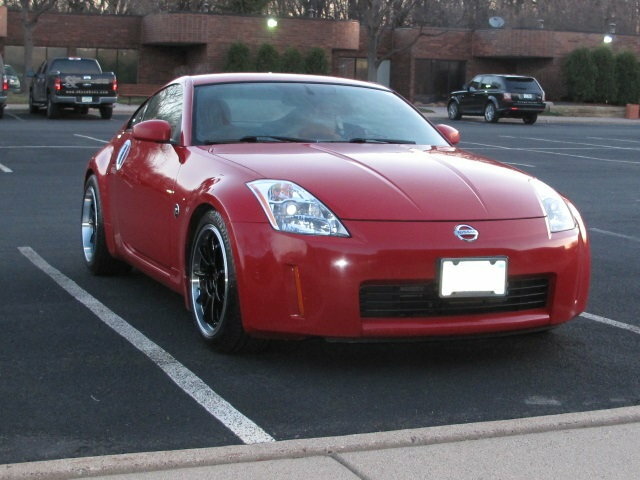 I have a 08 350, only done tint and blacked handles/emblems. 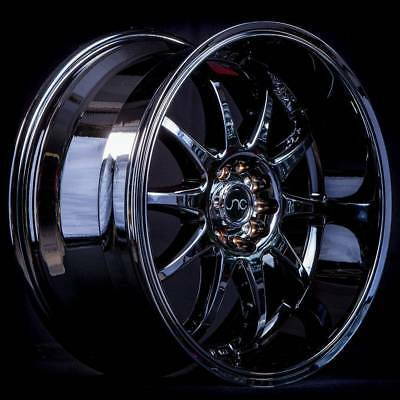 I just bought the attached wheels 18x9 +25 offset all 4 with 255x40x18 rear and 245x40x18 front. Just looking for opinions on them. Bridgestone patenza rear and nexen in front. Here is a picture of my front 8.5 x 18" +25 mm offset wheels. To me, the fronts are a little "too tucked." But, I'm getting used to them (and more accepting). Your 9 x 18" +25 mm offset wheels will protrude another quarter inch and will look better. Last edited by Spike100; 10-09-2018 at 01:41 PM. I put 2mm spacers in the back an just barely have enough stud left. I checked out the eibachs and will probably get those. Thank you for the advice and also for the installation connect. Last edited by Goodolejim; 10-12-2018 at 02:23 PM. You may want to install some extended studs if you're not getting enough thread on them. If you don't have a press, it's a pretty easy swap if you've got a hammer and some washers. Need to put lowering springs now, how do they look? Lowering isn't going to help much. 255s in the rear are too short by 0.65" - that's significant. Does your car have VDC? If so, be careful as that too-small size delta F-R could potentially trigger it unintentionally. If no VDC, all good; but I'd encourage you to install the right diameter tires sooner than later. Wheels on Ebay: RPM wheels with Federal Tires? Any thoughts or reviews on these? Can't decide on which wheels. Your thoughts please. Quick Reply: Thoughts on new wheels?